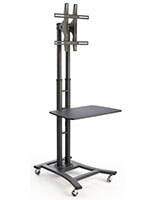 These rolling TV stands are designed to hold 37" - 65" monitors with ease. The aluminum mounts are crafted for ultimate durability and portability. 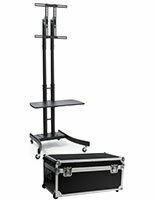 Each of the black stands are equipped with a 28" shelf for additional AV equipment like DVD players, projectors, laptops, or keyboards. 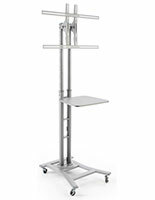 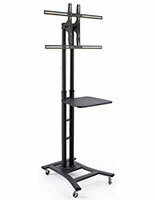 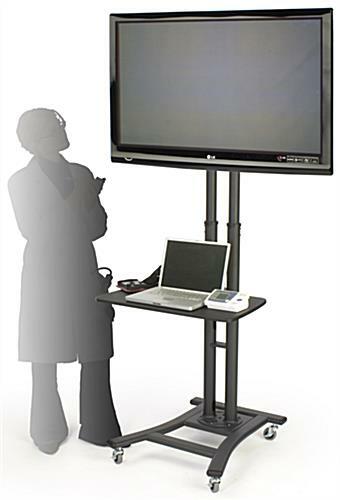 The wheeled stands offer great stability even when screens are installed, and are easily moved as needed. 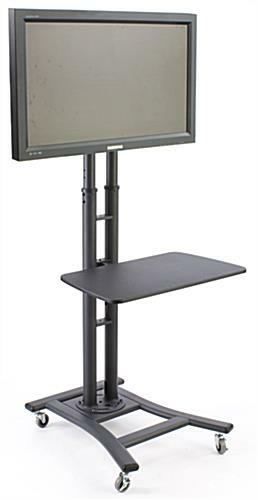 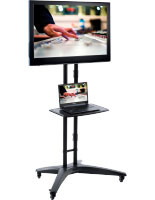 The VESA compatible stands are ideal for conference rooms or trade show settings due to their height adjustable qualities and wide accessory shelf. 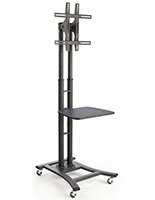 Order today and easily assemble your new LCD TV cart with the inlcuded hardware and tools!